The new UK passport to be issued after Brexit will be made in France, according to the current British manufacturer. The burgundy passport, in use since 1988, will revert to its original blue and gold colour from October 2019. The boss of UK supplier De La Rue said Franco-Dutch firm Gemalto had won the £490m contract. The Home Office said a winning bid had been chosen but it was up to the supplier to announce the news. It said the deal could save the taxpayer £100m-£120m and that 70 new jobs would be created in the UK, at sites in Fareham and Hayward. Gemalto, which has its headquarters in Paris and has a factory in Fareham, said it was aware of the reports regarding the contract to produce the new UK passport. Earlier, De La Rue boss Martin Sutherland told the BBC’s Today programme: “Over the last few months we have heard ministers happy to come on the media and talk about the new blue passport and the fact that it is an icon of British identity. Under EU procurement rules, the Home Office had been required to throw open the bidding process to European firms. The Home Office added that passports did not have to be made in the UK and 20% of blank passport books are currently produced in Europe. De La Rue, which has held the contract to manufacture British passports since 2009, said it it had been “undercut on price” by Gemalto. Mr Sutherland said it was unclear whether jobs at the firm’s Gateshead factory would be affected. De la Rue employed more than 600 staff at the site last year. The company issued a profit warning on Tuesday, which triggered a sharp fall in its share price. By Thursday afternoon, the shares were down a further 4.8%. 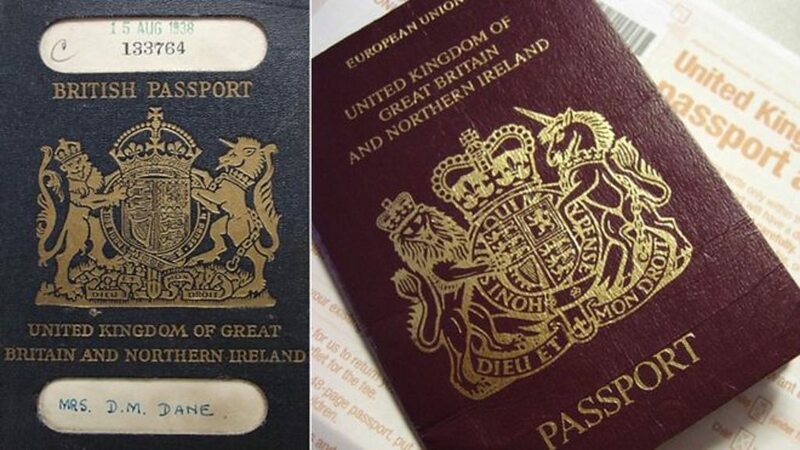 Brexit-supporting MPs hailed the decision to return to the blue and gold passport, first used in 1921, after the UK leaves the EU as an example of the UK taking back control. In December, the prime minister tweeted it would be “an expression of our independence and sovereignty”. However, pro-Brexit former cabinet minister Priti Patel said the decision to hand the new contract to a foreign firm was “disgraceful” and “perverse”. The Liberal Democrats’ Brexit spokesman, Tom Brake, said: “The blue passport saga is turning into a farce. First it was established that we did not have to leave the EU to have blue passports. Now we learn that the passports will be printed by a foreign company. Existing passport holders will continue to use their existing burgundy passports until they expire. The Home Office issues more than six million passports annually and is the only provider of passports to British citizens.